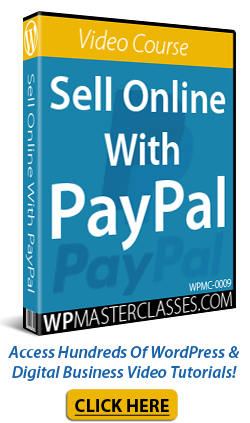 Learn why WordPress is a secure web platform for building and running your business online. In early 2013 a worldwide brute-force attack began hitting WordPress installations across almost every web host in existence around the world. These attacks were caused by botnets (computer networks infected with viruses and programmed to attack other installations with security vulnerabilities). On March 11, 2014, technology sites began reporting that over 160,000+ legitimate WordPress-powered websites had been hacked. As reported by security firm Sucuri, hackers had leveraged a flaw to attack unsuspecting WordPress web sites and direct a distributed-denial-of-service cyber-attack (DDoS) towards another popular website. Whenever attacks on WordPress sites are reported in the media, it’s natural for website owners to start asking just how safe and secure WordPress is as an application for building and running their websites. WordPress is the world’s most used CMS making it an obvious target for attempted hacker attacks. But do you really need to be concerned about WordPress as a secure web platform? In this article, you will learn some of the main reasons why you should use WordPress if you have any concerns about website security. Thousands of websites are hacked every year … not just WordPress sites! How Vulnerable Are “Open Source” Programs? The scale of attacks on websites and blogs around the world is increasing on a daily basis, and things are getting worse. You can safely assume that if your website or blog hasn’t been hacked yet, then it’s inevitable that at some point in time someone will attempt to hack into your site … regardless of the web platform your website has been built with! Since it’s not a matter of if, but when before your website will be targeted by malicious hackers, are there any advantages that WordPress can offer you in terms of security? Many people argue that WordPress cannot be a secure platform for running a web presence because it’s a freely available open source software. Open source CMS platforms like WordPress, Drupal and Joomla are free to use and anyone can have access to the entire underlying code. While it’s true that WordPress is a free application and hackers can easily go through the code searching for holes or vulnerabilities that can be exploited (hackers can do the same with any software), the fact that WordPress is a free, open software platform actually makes it more secure in many ways. The WordPress community support system is solid and formidable and anybody can contribute to the improvement of the software. If you find bugs and a security exploit, you can report these by notifying security@wordpress.org. If you find any issues in a WordPress plugin, you can also report these by sending an email to plugins@wordpress.org. Contrast the benefits of using an open source CMS technology like WordPress with proprietary platforms where often a much smaller team with limited time and resources is responsible for developing, monitoring and maintaining software security, fixing bugs, etc., and you will very quickly understand the value of using WordPress to power your website or blog on a secure platform. The WordPress CMS is 100% free to download, modify and use, and hundreds of volunteers and expert developers work on improving the software. Can a proprietary technology company afford to employ as many developers and programmers and still deliver users a completely free platform that they can download, use and modify as they wish? Whilst on the topic of Open Source content management applications, there is valid research showing that the WordPress CMS is safer than other leading Open Source CMS platforms such as Drupal and Joomla. When WordPress sites get subjected to brute-force attacks, don’t be quick to place the blame on WordPress. According to a nonprofit organization that helps webmasters identify, remediate and prevent website compromises called StopBadware and security vendor Commtouch in a published report entitled “Compromised Websites: An Owner’s Perspective“, most website owners are not fully aware of the security threats their websites are exposed to, how to properly secure a website, or deal with compromised web security. Like many web platforms, WordPress is regularly updated to address new security issues that could arise. Improving security is an ongoing concern, and to that end, you should always keep your WordPress software, plugins, and themes updated to the latest version. The amount of misinformation online about WordPress security has even led the co-founder of WordPress, Matt Mullenweg, to chime in and reply to posts online. Millions of businesses around the world, including banks, leading brands and e-commerce sites use WordPress to build their websites, not just bloggers. No platform is immune to hacking. As many as 90% of all websites across all platforms are vulnerable to being attacked, mostly due to software that is out of date. The main vulnerability in all web platforms seems to be the users themselves. An example of this is users ignoring strong password security recommendations. Lack of constant system monitoring. Security systems need to be frequently monitored, tested, updated and improved. Server setup. For example, websites on shared hosting accounts are only as secure as the least secure site on the hosting grid, so if another user has a weak FTP password on your shared server, then all sites on the server can potentially become vulnerable. As you can see, WordPress is a secure web platform. As long as you commit to implementing basic security measures and keep your WordPress software (and plugins, themes, etc.) regularly updated, there is really no reason not to choose WordPress. 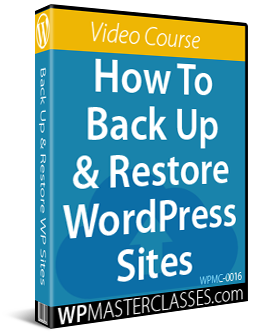 If you are using older WordPress versions remember to back up your site fully before updating your software to protect your site from the latest security risks. This way, if things don’t go as planned, you can always restore your website to its former settings. Hopefully, now you have a better understanding of problems that can affect your web site and how WordPress can help you expand your business online. To learn more about the security benefits of using the WP content management platform please click on links to visit other articles published on this site or subscribe to receive updates and notifications whenever new articles or tutorials are published. Originally published as WordPress Security Explained.